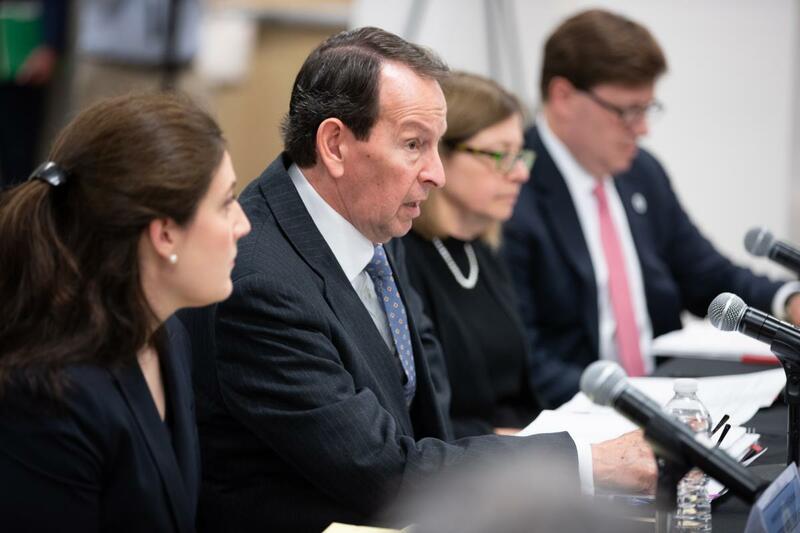 The Federal Commission on School Safety (FCSS) held a listening session on June 26, 2018 in Lexington, Kentucky. This forum provided an opportunity for members of the public to speak to the Commission about their views on how schools, districts, institutions of higher education, and other local and state government agencies can improve school safety. The Department of Education was represented by Deputy Secretary Mick Zais. The Department of Justice was represented by Assistant Attorney General Beth Williams. The Department of Homeland Security was represented by Deputy Undersecretary for National Protection Matt Travis. The Department of Health and Human Services was represented by Assistant Secretary Elinore McCance-Katz. "Agencies represented here [have] come together and work immediately to conduct investigations, identify best practices, and make recommendations to states and local agencies on how to improve the safety of our students and our educators," Deputy Secretary Zais said in his opening remarks.